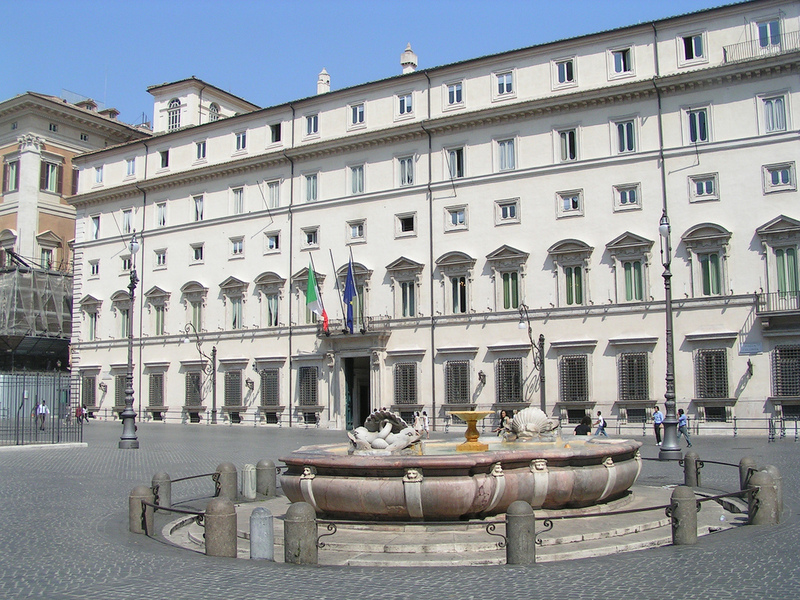 A view of Palazzo Chigi, the official residence of the Prime Minister of the Italian Republic. Italy is continuing to experience “excessive economic imbalances”, including “high public debt and protracted weak productivity growth in a context of high, though decreasing, non-performing loans (NPLs) and unemployment”. This is according to a new report released by the European Commission on March 7. The report said Italy’s public debt had stabilised but had not embarked on a downward path because of deterioration in the structural balance. As reported by the Italian news agency ANSA, the European Commission also warned that Rome’s drive to approve and implement structural economic reforms has “slowed”. “In Italy we have seen that growth strengthened in 2017 and we expect it to remain constant this year, but it is still a long way below the European average, the debt is the second highest in the EU and productivity is low,” said European Commission Vice President Valdis Dombrovskis on March 7. According to ANSA, the Italian economy grew by 1.5% last year, compared to 2.2% in the eurozone.